If you are firmly planted in social media, what with multiple Facebook and Twitter accounts, Groups and Pages you have a bunch of people following and liking, and a bunch of Friends on your Friend’s List that you never talk to…then 2014 was probably a rather frustrating year for you. With 2015 here and having crossed your doorstep, you might be wondering how on Earth you can improve your social media. In today’s society, there is pretty much a friend’s list for every site now in social media. Take Facebook, for example. Some people have hit the limit on their friend’s list…but are they really friends? A person could have the maximum friends and only talk to 20-30 of them on a fairly regular basis. It is at that time that, if you have a bunch of people you never talk to…the wise thing would be to remove them and free up space on your list for people you will talk to. Do this once every 2-3 months. You might surprise yourself. Let’s face it. You are pouring all of your time into one or two Groups/Pages on either Facebook or Google+, and you just don’t have time for one or two others that you have. At this point, what is the sense in having them? People see your inactive Groups/Pages in the search results on that social media site, and they “Like” it or join it…and they realize the Group/Page is dead as a doorknob. So, consider completely removing accounts or Groups/Pages that you never or hardly use so you can focus on your major ones without any added guilt. Profiles on social media sites are often left derelict, in terms of all of the personal information and such available on them. You should make a point of checking your profile out and making sure whether or not your information is up-to-date, as well as visually eye-appealing…and be sure to do this often. 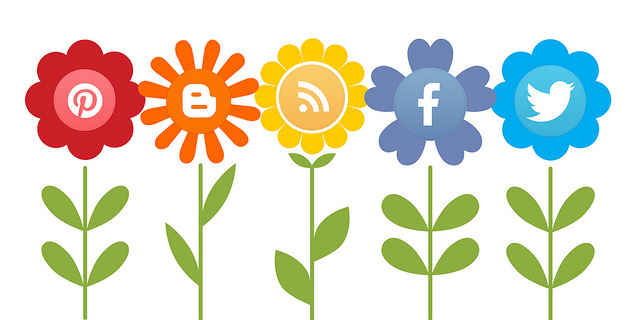 Be sure to use these three tips to better improve your social media in 2015. Do you need any social media help for your business? Contact the Profit Parrot Team for help today!